Do you take videos on a smartphone to remember things or capture family moments? For many people today, a smartphone functions as a personal computer in the palm of your hand. It holds precious memories, important notes, contact information, and even files. With the touch screen features of these devices, it is easy to lose or unintentionally remove a video on your phone. If a recent loss has you scrambling to find a solution for regaining this data on a Samsung Galaxy Note 5, then Dr.Fone for Android offers an easy resolution. Dr.Fone is a recovery utility for salvaging lost or deleted data on a Note 5. 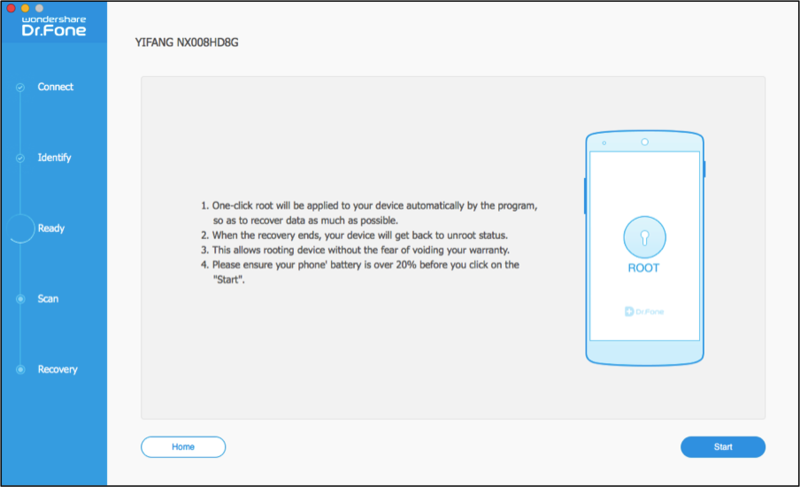 The utility offers several options for retrieving data on a Galaxy Note 5 as well as other compatible Android smartphones. After Dr.Fone has successfully connected to the device, you will now be able to recover videos from Samsung Galaxy Note 5. Before following this tutorial, make certain the recovery program has been installed to your computer and it’s up and running. 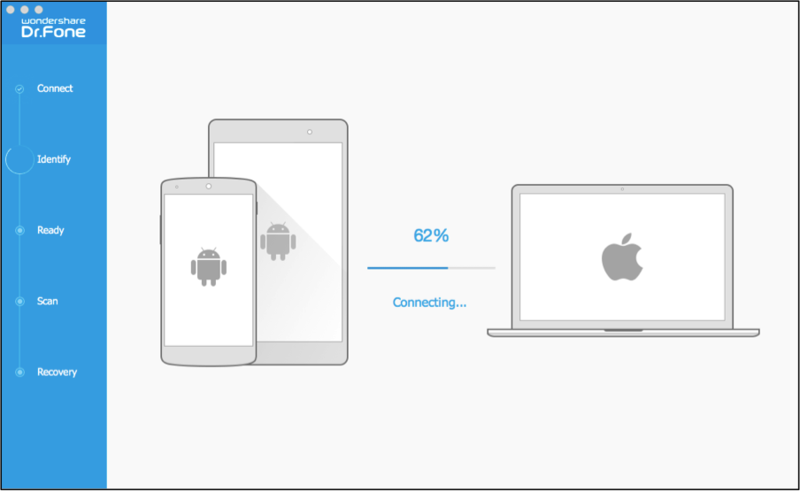 Link the smartphone to the PC and then wait for Dr.Fone to connect as shown above. Once completed, you can now proceed. Step 1: Remove Unnecessary File Types. Dr.Fone provides the option to select what file types will be included in the scan of your smartphone. Each file type is selected upon a successful device connection. To begin, uncheck every file type except Videos and then click on Next. Step 2: Choose Recovery Mode. Dr.Fone provides the option to perform either a Standard Recovery or an Advanced Recovery mode. For most circumstances, the Standard Mode will be sufficient. Select the Scan for Deleted Files option and then click on Next in the bottom right of the utility. Step 3: Allow Dr.Fone to Scan the Device. You must click Start and allow Dr.Fone to apply one-click root and analyze the phone. Scanning will not start until this process has finished. Once done, Dr.Fone will immediately scan the device for the configured file types and recovery mode. You will see a progress bar at the top of the utility and you can click on Videos in the left panel to begin previewing the scan results. Step 4: Mark Items for Data Recovery. By default, Videos in the left panel will have a checkmark. This means that every video found during the scan is currently chosen for recovery. To recover them all, simply click Recover and complete the restore. If you do not want to restore every one of them, uncheck this box and then click on Videos to see the results. All videos found will be displayed to the right and may be selected individually. Click on any video and a checkmark will appear to show that it is currently selected for the restore. If an item does not have a checkmark, then it will not be recovered. A List View option is provided in the right corner and may be used to switch the view from thumbnails. Click on either icon to change the view for the scan results. If only certain videos are selected, you will see a blue box within the checkbox to the left of Videos. A checkmark ensures all videos are recovered while a blank checkbox is a sign of no file selections. To mark an item for recovery, tick its checkbox. Make sure selected items have a checkmark. Additionally, you may also enter text/s into the search field to locate a particular video or format. If you type in part of a name, any video matching that information will appear within the utility. To view every item, click on the X on the right side of the entry field. To finish, click on the Recover button after making all video selections within the scan results. Wait for Dr.Fone to complete the restore from your Samsung Galaxy Note 5. You will then be prompted to choose a save location on the computer used for recovery. This is where the videos will be stored. Choose to recover all files. Allow Dr.Fone to scan the device. Mark items for data recovery. Click Recover once all desired videos have been selected to finish the recovery process. Dr.Fone offers a user-friendly interface and is able to restore several types of data from a Samsung Galaxy Note 5. Download the application and complete a scan to see how easy it can be to regain your videos!